On May 29, 2013, the DPRK offered South Korea a peace treaty in place of the current Armistice Agreement concluded at the end of the 1950-1953 Korean War. The newspaper of North Korea’s ruling party published an article on that. “There is an urgent need to replace the armistice agreement, which is a relic of the war, with a permanent peace regime,” the newspaper said. That need actually exists, and to understand it let’s turn to history. A cease-fire agreement was concluded on July 27, 1953. It was signed by DPRK delegation head Nam Il and UN delegation head William Harrison. Kim Il-sung and Peng Dehuai, commander of the Chinese People’s Volunteers, were not present in Panmunjom for fear of provocations; they added their signatures to the document later. UN Forces commander Vice commander Mark Clark also signed it later. South Korean General Choi Duk Shin, who was present at the signing ceremony, refused to sign the document because the Syngman Rhee regime, which was much more repugnant than North Korea’s regime, advocated continuing the war. In addition, the parties were obligated to stop introducing military reinforcements (armed personnel) into Korea, except that units and personnel could be rotated on a man-for-man basis. It also provided for the replacement of military equipment and weapons through certain points of entry, also on a piece-for-piece basis; the introduction of new weapons was prohibited: I will discuss that point (paragraph 13d) separately, for reasons that will become clear later. Article III concerned the repatriation of prisoners of war; Article IV recommended that the concerned parties convene a political conference to negotiate the withdrawal of all foreign forces from Korea and the peaceful settlement of the Korean question; Article V stated that amendments and additions to the Armistice Agreement must be mutually agreed to by the commanders of the opposing sides. Military operations thus came to an end, but the international conference that the fourth article called for was held in Geneva in late April 1954 and achieved nothing. Each of the Korean states offered its own package of proposals, but their ideas were mutually incompatible. Although the North was more inclined to make concessions, the United States and its allies gave ultimatums and even refused to enter preliminary agreements where viewpoints coincided. 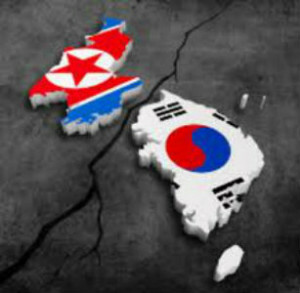 As a result, after declining a final package of proposals from the Soviet Union and the DPRK, the countries that participated in the intervention announced on June 16, 1994 that no agreement had been reached at the conference. In 1958, the Chinese People’s Volunteers withdrew from the peninsula — but the Americans have remained in South Korea to the present day because their presence there is officially governed by the Mutual Defense Treaty between the United States and the Republic of South Korea, not the Armistice Agreement. Thus, the Armistice Agreement was seen as a preliminary document, and the final outcome of the war was to be recorded later. However, that was never done. Moreover, in deploying nuclear weapons in South Korea, the United States violated the agreement by unilaterally abrogating one of its important articles. The extent to which it remained in force after that is a question for the lawyers. The incomplete end to the Korean War set a bad precedent that has lasted to the present. Ordinarily in such situations a peace treaty is signed that records a war’s end and changes in the world order resulting from military operations (the redrawing of borders, resolution of property issues, prisoner exchange, etc. 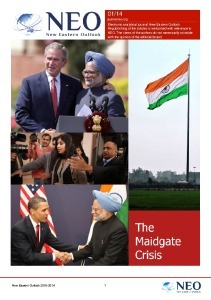 ; the 1953 Agreement covered many of these issues). Everything is complicated. The Russian scholar Kim Yen Un, who has written a great deal about the Korean War, sums up the problem as follows: “Does the United Nations have the right to sign a peace treaty with a member of the UN? If so, who can sign a peace treaty on behalf of the UN? Will the UN now give the United States the authority to sign such a document, and on what basis will it do so? Would a country that did not sign the Armistice Agreement have the right to sign a peace treaty? And, in general, what will come from the signing of a peace treaty 57 years after the war’s end? We are surviving without a peace treaty with Germany, because Nazi Germany does not exist and the FRG is not its legal successor. Nor does the Soviet Union exist, although Russia is its legal successor. Let’s go into these ideas in more detail. First of all, the Korean states are legally still at war because a cease-fire agreement is not the same as a peace treaty. The DPRK has periodically said (in 1994, 1996, 2003, 2006 and 2009) that it does not consider itself bound by the Agreement, and it withdrew from it in 2013. The Republic of Korea has not come to terms with the situation at all. Moreover, the Agreement was without legal force up until the end of Syngman Rhee’s rule, and South Korea would return to its strategy of pushing north at the first opportunity. During perestroika and against the backdrop of a changing world, however, Pyongyang and Seoul not only simultaneously joined the United Nations on September 17, 1991, they signed the Agreement on Reconciliation, Non-Aggression and Exchanges and Cooperation on December 13, 1991. In that document, the two parties actually acknowledged each other’s sovereignty and independence. North and South Korea pledged not to interfere in each other’s internal affairs, to refrain from hostile actions against each other and to respect each other’s socioeconomic systems. This language partially ended the legal uncertainty and political ambiguity of the situation in which each country considered itself the only legal state on the peninsula and viewed the territory of the other country as “temporarily occupied,” and the stated obligation of the parties to refrain from the use of force laid the groundwork for increasing stability and normalizing the situation. To documents of that type we might add the summations of the inter-Korean summits of 2000 and 2007. However, the agreements reached under Kim Dae-jung and Roh Moo-hyun were disavowed by Lee Myung-bak in 2010 (when the corvette Cheonan was sunk), and the crisis of April 2013 caused the DPRK to no longer consider itself bound by the terms of either the 1953 Armistice Agreement or the 1991 document. Thus, relations between the two Korean states are completely unregulated, and they are technically still at war. The peace treaty proposal is more than reasonable under the circumstances. Second, if a peace treaty is to be signed with the Armistice Agreement as its touchstone, South Korea technically is not entitled to sign it because it did not sign the cease-fire agreement and thus did not cast itself as a belligerent. Technically, the parties involved in the conflict were North Korea, the Chinese People’s Volunteers (not the PRC itself) and the United Nations (not the United States). Furthermore, a peace treaty should set forth the postwar situation, and for that to happen those involved in the war must be precisely identified. However, the United States entered the Korean War under a UN flag, and China did so as “volunteers.” Neither country officially took part in the hostilities: To do so under their own flag at that time would have run the risk of starting World War III, but the war actually took on the form we are familiar with specifically because the conflict was internationalized. The identification of the participants is closely associated with the issue of responsibility, which, in my opinion, both Washington and Beijing would like to avoid. Third, at present both Koreas are members of the United Nations, and that means the organization would be signing a peace treaty with one of its members. That would create a nasty legal case. Moreover, despite the progress that has been made since Syngman Rhee’s time, the North and the South are still far from fully recognizing each other. A peace treaty between the North and the South would mean that the “other side” is not a group of bandits and puppets illegally occupying half of the country, but an independent state and a full party to negotiations. In that context, the conclusion of a peace could constitute the abandonment of claims to the “temporarily lost territories.” That would be equally unpleasant for both the South, which still has a “Five Provinces Administrative Bureau” for governing the North, and for North Korea, which writes the names of South Korean government bodies only in quotation marks. However, the North has shown itself to be more reasonable here: Its capital has been Pyongyang rather than Seoul since 1972. Is there another way of locking down the outcome of the war without a peace treaty? Yes, but it is no less complicated, because the Korean War would have to be acknowledged as a civil war that was internationalized only when foreign forces entered it, first on one side and then the other. Then a peace treaty between the two countries would make no sense because the issue would concern two governments in one country. However, that solution would demand at least as much political will from Pyongyang and Seoul because it would imply that both sides did not win (more precisely, both sides consider themselves the victor), but rather that both sides lost. So, as we s sum things up, we should note that North Korea’s proposal for a peace treaty deserves consideration, if only because the 1953 Armistice Agreement does not meet the needs of the times and ceased to be in force — in 2013 if not in 1957. To lock down the outcome of the war, draw a line and across the last “t” during the 60th anniversary year of the war’s end would be a landmark moment. We need to remember, however, that there are a number of procedural issues involved in signing a peace treaty. 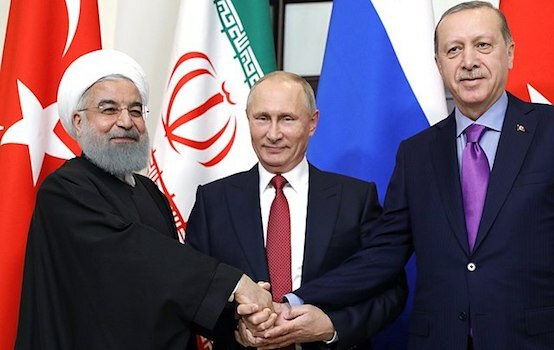 Superimposed on the situation is the distrust between the two countries, which means any initiative by the opposing side will be tested for validity. Nevertheless, if the parties are able to take this important step forward, the shadow of the Korean War will gradually began to fade. Konstantin Asmolov, Cand. Sc. (History), is a Senior Research Fellow at the Center for Korean Studies of the Russian Academy of Sciences’ Institute of Far Eastern Studies. Exclusively for New Eastern Outlook.